All Beer Stores will be closed on Monday, September 3, 2012 to observe the Labour Day statutory holiday. All Beer Stores will observe regular Sunday hours of sale and reopen Tuesday, September 4th. 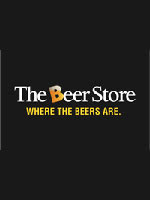 For more information about The Beer Store, visit them at www.thebeerstore.ca. The Beer Store would like to remind you that they take back 100% of all beer packaging as well as all wine and spirit containers. The Beer Store also wishes to remind you to please, drink responsibly. All customers and employees, please enjoy a safe holiday. Please note that Ontario Craft Brewery retail shops will be open for your Monday beer purchases. Please enjoy some delicious local Ontario beer. For a list of Breweries and their beer, please click here.